A shot record is required for accommodations in GBC Student Housing. Please follow the link below to acquire your current records. Thank You for Choosing Great Basin College! It is our pleasure to provide convenient, safe, affordable housing for single students, married students, and married students with or without children. 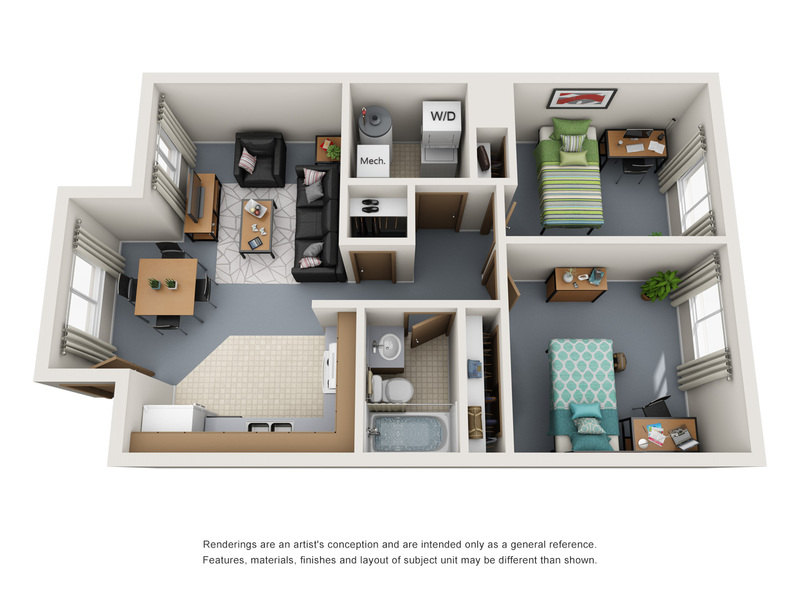 Student housing promotes learning and provides social interaction to facilitate student success. 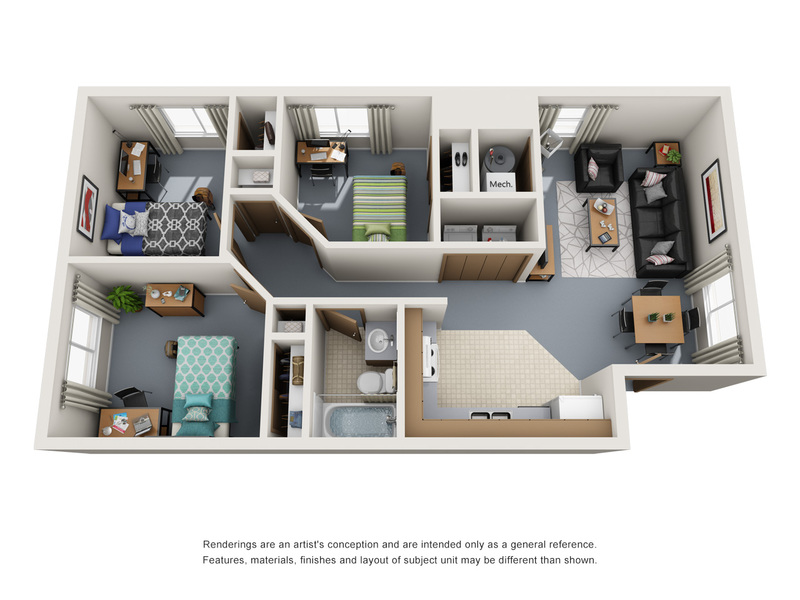 Living on campus means the convenience of being within walking distance of everything for easy access to campus amenities, and to quickly attend campus events! No matter which facility you choose, you will be located just minutes away from the main campus! Click for a Housing brochure! Click for answers to frequently asked questions! Click for a campus map! Click for student rights and responsibilities! Griswold Hall Dorms provides traditional dorm living for students at an affordable price. Features of Griswold Hall include TV and study rooms, parking, a shared food warming area, lawn and gathering areas, a game room, a well-equipped computer lab, and laundromat. Includes all utilities and internet. Single’s Apartments contain a common living/dining room, kitchen with full-sized cooking range, oven, refrigerator, and dishwasher, and bathroom. Students share an apartment but have a private room. 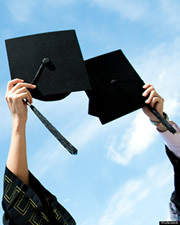 Students may request their own roommates, provided that all parties are agreeable. Otherwise, the college will assign a roommate based on the information provided on the student housing application. Includes all utilities and internet. Family Apartments are two or three bedroom and contain a living/dining room, kitchen with full-sized cooking range, oven, refrigerator, and dishwasher, bathroom, laundry hookups, and lawn/playground areas.Includes garbage and water. Single students have a choice of dorm living or sharing an apartment. Students taking advantage of on-campus housing don't just survive…They succeed!